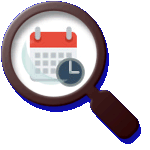 Search the site by date and time. Many (although not all) pages on this site include a date and possibly time at which the event described occurred, the page was posted, or the page was updated. Here you can narrow a search down to as narrow a period as you like; or, alternatively, broaden it to all of time, set the Maximum Retrievals Per Page to 1000 and browse every page here! All the pictures from Frankie&apos;s first visit to the state park. My son-in-law Frankie just moved out to Arizona, joining his wife and daughter who arrived first. Frankie has been to Arizona before (he was married in Sedona), but only for a few brief visits. So, now that he&apos;s here permanently, it falls to me, the Official Greeter To Arizona, to show him around. For today&apos;s hike, we decided to visit the Lost Dutchman State Park, but then continued on to Tortilla Flat just because we could. Keith and I make a free visit to get artified. So, a couple of nights ago, Keith and I had dinner at a Red Lobster and, across from the restaurant was a neighborhood carnival. That got us thinking that we really should get out of the apartment at least once in awhile and do something. All the albums and tracks from my not inconsiderable music collection. I have a really large record collection, and I&apos;d like to share it with you. I can&apos;t share the actual music, of course—that would be wrong!—but here is the list of my current holdings, all digital or digitized. Photos of my lovely daughter&apos;s rise from toddlerhood to young businesswoman and wife. Please enjoy my living portrait of this lovely young lady as she has grown from infancy to adulthood. A beautiful look at the desert below the Superstition Mountains after it&apos;s been greenified. Keith and I try to take the dogs out every day—that&apos;s what we tell ourselves, but what we really are doing is taking ourselves out every day! Today, the first pretty day after several days of light rain, we decided to head for the Lost Dutchman State Park for an easy hike. A day in the snow with the toddlers. The northern half of the state got dumped on by record-breaking amounts of snow. While this was bad news for drivers and others, it was great news for the kids! My mom&apos;s cousins descended upon us for a visit. My Mom&apos;s cousins lived in upstate New York, and one day came for a visit. They were led by Cousin Jairus, who had a terrible allergy to pollen, one so bad we would now call it asthma. But I didn&apos;t understand such things, and in any case, no one had warned me. So, when the cousins had arrived, I went into the meadow and gathered a huge armload of goldenrod, and brought it in as a welcome gift. Family portraits taken at my grandparents&apos; apartment building. After my dad died, my grandparents moved from Bloomfield, New Jersey, where they had lived forever, to St Johnsbury, Vermont, to be closer to us. They moved into a townhouse apartment in a small, four-unit building. Their landlady was Mrs Cox, a widow. We spent the winter of 1960/1961 at Val&apos;s Motel in Concord, Vermont. We had become friends with the proprietors so when the snows melted and we were ready to go home, we took pictures with them. And then, again, when we did get home, we took more! My oldest granddaughter becomes a woman. Cailey was my first granddaughter and I still think of her as an infant. This is largely because she grew up on the East Coast after I had moved to the West; I simply haven&apos;t had the chance to see her that often. But recent circomstances have brought Cailey and her mother, my daughter, Dorothy, to the Greater Phoenix Area. And that meant she was here for her 18th birthday! The party was held at my other daughter, Jenny&apos;s, home in Chandler.